Dagger tattoos are considered a great way to make a statement. After all, this sharp and dangerous weapon can show your strength and bravery. For several years, the dagger has been used by ancestors to defeat their enemies, and to keep their families fed and clothed through the hard times. 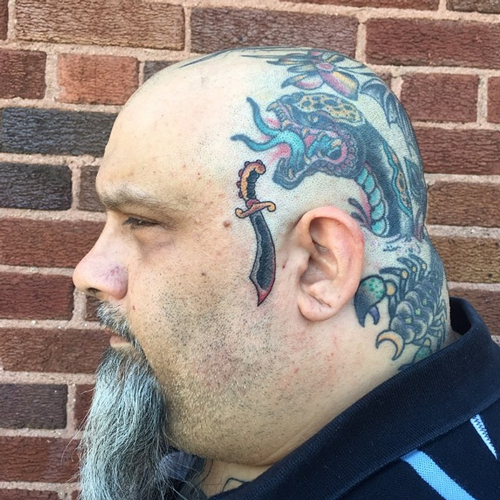 With the many uses associated with daggers, it comes as no surprise why a lot of people chose to have this weapon immortalized in permanent bodily ink. Perhaps the most famous dagger tattoo design is that going through a heart. Known as the piercing dagger, it usually represents a heartbreaking event – a forlorn love, a lost lover, a promise broken. While sad, this one of the Dagger tattoos, is the best choices for those who wish to show how much they treasure the love that they have lost. 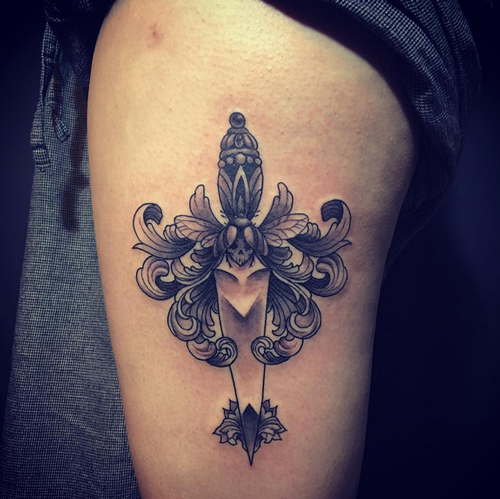 Although most people view this as a very dark and negative tattoo design, a style is bearing a dagger and a skull conveys positive meanings: bravery and protection. However, for some people, this can signify death. Despite the contradicting connotations associated with the Dagger tattoos, it cannot be denied that it is one of the most popular styles out there. This tattoo design shows conflicting statements since the rose is considered a beautiful element, while a dagger is thought of as the bringer of doom. While contradictory, this tattoo symbolizes the harsh reality of life. After all, life is not a bed of roses. While the depiction is cruel, this tattoo on your body can motivate you to stand up and do your best. A dagger and rose tattoo can remind you of enduring hardships to enjoy beauty and success. A popular style common in sailors, the dagger, and swallow tattoo represents wealth, good luck, and a safe passage. After all, the sea is very unpredictable. Even if the sailor is well-trained, or even if he is on a ship decked with sophisticated equipment, there is no telling when danger might arise. With this tattoo, a sailor will somehow feel protected as he gears for a safe trip home. This tattoo is popular with many men, as it is associated with the virile Roman god Mercury. Somehow, it is associated with medicine because it is similar to the Caduceus, a totem respected by doctors and other health professionals. With dagger tattoos, you can enjoy the freedom to symbolize some meanings associated with this design. After all, when it is mixed with other images, the denotation is changed rapidly.